Pitt men’s basketball survived a Delaware State comeback Tuesday attempt to avoid losing to a team without a Division I win this year. The Panthers (7-5) had doubled the Hornets (2-11) by halftime and led by as many as 27, but won by just six, with final score of 74-68 at the Peterson Events Center. Redshirt senior guard Jonathan Milligan and junior forward Jared Wilson-Frame lead the Panthers with 13 points each. 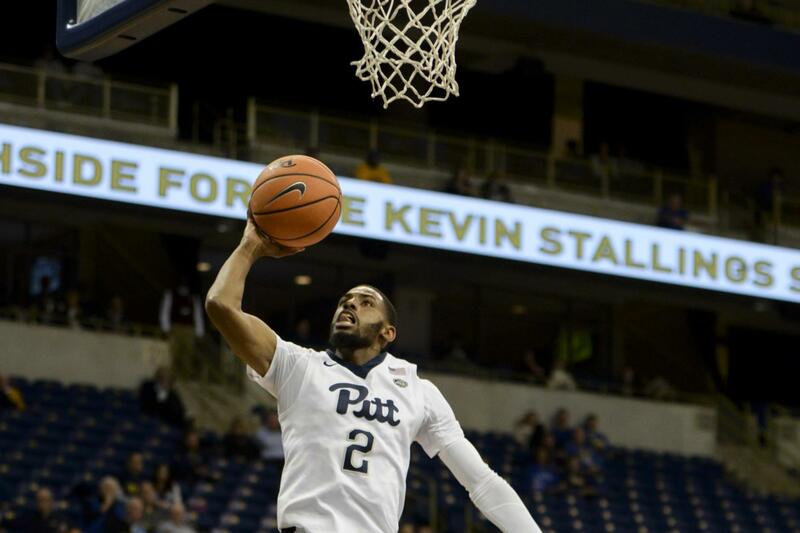 First-year guard Shamile Stevenson lead Pitt with 7 rebounds while Wilson-Frame added 6 more. Pitt pulled out to a big lead early, thanks to solid shooting, going 56 percent from the field and holding the Hornets to just 28 percent. Though Pitt turned the ball over 12 times, Delaware State failed to capitalize on many of the chances. The shooting percentages flipped in the second half, with Pitt sinking to just 28 percent and Delaware State shooting 57 percent. The Hornets came out of the half strong, cutting the deficit to ten midway through the second half. With 22 seconds remaining, Pitt was up just two before a series of free throws sealed the victory.